Many workplaces offer help with your daily expenses. Sometimes, a company car can deliver savings in the long-term, particularly if they come with fuel benefits. You can use HMRC's car benefit calculator to make sure that the income tax company cars are liable for (as a benefit in kind) doesn't outweigh your gains. If public transport is your usual way to work, then season ticket loans may be for you. These are essentially an advance on your pay, or an interest-free loan, which you can use to buy a monthly/annual season ticket. To record your savings, use a budget planner to help keep track and carefully set them aside into your ISA, savings account or investment vehicle. Schemes like the government's National Employment Savings Trust (NEST) help companies meet their obligation to provide a workplace pension. Ask HR what your pension options are (many companies contribute when you put aside a portion of your pay), but also keep your eyes peeled for additional savings plans - a number of investment companies are now offering interesting options. Firms like Mercer are encouraging employers to shake up their benefits package and deliver their employees contributory schemes that include ISAs, savings and pension schemes. As well as potential employer support, you'd get the benefit of the investment professionals who usually only serve larger clients. Sometimes called Save As You Earn (SAYE), Sharesave or Savings Related Share Option Schemes, HMRC figures cited in The Daily Telegraph estimate that 2 million employees across 1,300 companies currently participate in such schemes. These schemes involve your company setting aside an agreed amount (up to £500) from your pay each month for three to five years. You're then given the option to buy shares at a pre-agreed, discounted price. If the share price has risen you make an instant profit, if not, you get your money back. It's a risk-free investment. Some companies offer alternatives called Share Incentive Plans (SIPs), which allow employees to invest a sum from their gross salary: so you save cash by avoiding tax, but don't get the price reduction. Better SIPs will match employee share purchases, so do establish whether your company runs a generous scheme. But remember to check your tax liabilities too. 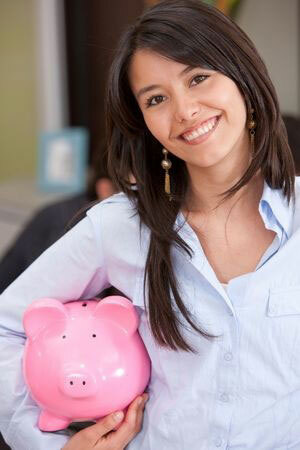 Whatever the savings may be, ensure you take advantage, and factor them into your budget to maximise your saving plan.